How to Build Your First Profitable Blog and Set Your Website up for Success From The Start! If you're interested in building a real business with your blog (even if you're starting from ground zero)... then you are in the right place. My passion is helping people just like you design and build profitable blogs. I'm driven by trying to provide people with the most value possible. I want to share with you what I had to learn the hard way so you don't make the same mistakes I did. My name is Mike Brown. 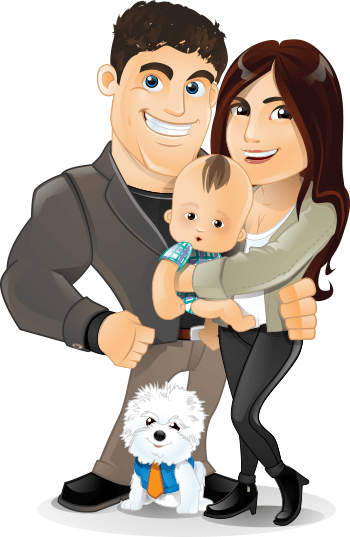 That's me over there with my beautiful wife, Luiza and our son Anthony. We live in beautiful southern California, Pasadena to be exact. I started my blogging career way back in 2008 when I went to work for a major web hosting company. After spending many years in the corporate world I decided that it wasn't for me anymore. Probably just like you I was sick of the constraints of working day in and day out for someone else's dream. So I found a better way to spend my time. Provide you with video tutorials to have your blog up and running in 20 minutes. Walk you through comprehensive guides to choose the best web hosting for your WordPress blog. 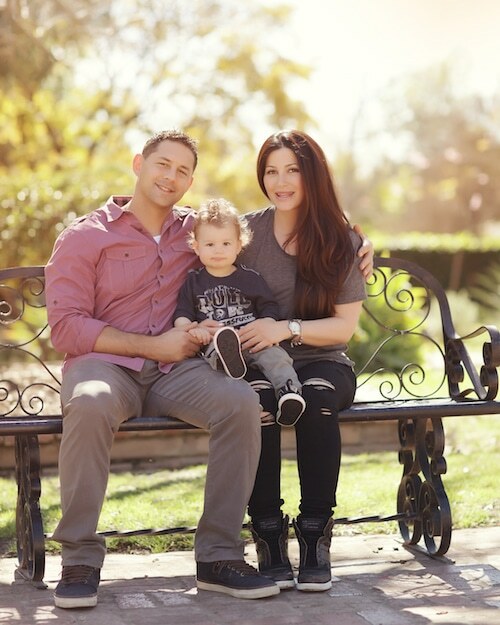 Whether you are a small business owner, beginner blogger or just someone interested in sharing your passions with the world, I will teach you what you need to know in order to start your journey right. Once you've decided that starting a blog is the right choice, you can join the Free: 6-Day Blogging Mini Course and learn how to build a professional custom website at your own pace. The Academy is for paying members only it's an exclusive community of like minded people. In the Academy you will get direct answers to your questions from myself and the other members of the community. "I’m here to bridge the learning gap for you — plain and simple." Because I don’t just show you how to setup a blog, I teach you how to actually use your blog platform (WordPress) to build a custom and potentially profitable website. My goal is to empower you with the skills, tools, and techniques necessary to be a successful (and potentially profitable) blogger. 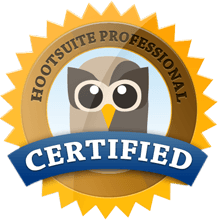 I hold certifications with HubSpot, Yoast SEO, and Hootsuite. 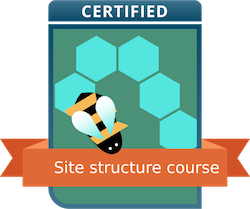 I have my Google Analytics certification and I'm currently working on more certifications, so I can give you the most comprehensive training available, and simplify it into easy to understand pieces. Building a profitable blog is not easy if you don't have the right knowledge. There are pitfalls and marketing gimmicks around every corner. There are a million people telling you a million different things about how to succeed with blogging. The truth is it's hard work but If you are willing to put in the time I can show you a proven formula for success. I publish articles on a regular basis sharing proven blogging strategies to help ensure your success. You can join us in the Facebook group where you can ask questions and get feedback from fellow blog owners. Elevate your blogging skills & learn essential techniques and tactics. Take advantage of courses, tools & support with fellow bloggers. Can I hire you to build my WordPress website? No, I'm not an actual WordPress developer or designer so I don't build websites for people but I do have the skills to setup the foundation of your blog, configure it and populated it with demo content to make it easy for you to take over. You can check out my Blog Creation Service here. Can I interview you for my blog, podcast or publication? I'm happy to review all invitations and usually willing to provide feedback and actionable no-nonsense insight on subjects I'm familiar with. You can email me at hello@thebloggingbuddha.com with more information about your show, blog, or podcast and I'll get back to you in a timely fashion. Are you looking to establish more partnerships? I am not currently in the market for more partner relationships but I am always looking to expand my network of business friends. If you have a partnership that you would like to discuss with me please visit my public Contact page and submit your information. Can I schedule a consultation with you to get some advice? 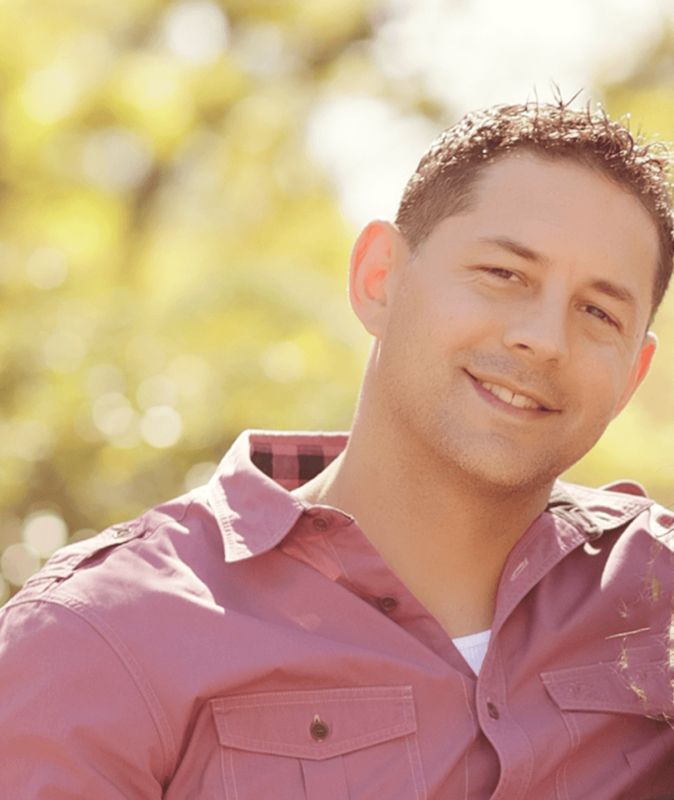 The best place to gain access to me is inside the Free 6-Day Email Mini Course. However I do provide one-off Consultation & Strategy sessions (on a case by case basis) for a nominal fee. For more information on how to schedule a consultation please visit this page. Can you recommend a particular marketing strategy/ web dev company etc? 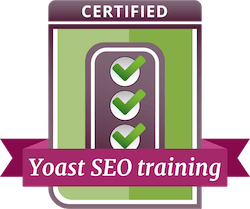 I do provide recommendations on a very select group of essential products and services which I believe are necessary to build a successful website or blog. In the Academy we do have members who can provide WordPress design services. Marketing strategy is discussed in detail inside the Academy. Why "TheBloggingBuddha" does it have a meaning? Access my extensive course library and get exclusive live support via email. Workbooks, plugins, WordPress themes and lots more - plus get special discounts and perks. Join a focused friendly community of fellow WordPress website owners .